Do you have trigger words? Words that when you hear them pique your interest or maybe even stop you in your tracks because you’ve got to know more? Most of us have a few trigger words. Of course one of the biggest challenges is knowing what are the “right” words to use with a prospect/client to move them into action. So, are you willing to start paying attention to the clues? 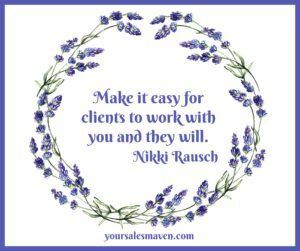 One of the easiest ways to start to pick up on a prospect/client’s preferred types of words is to pay attention to the language they use when answering your questions. They focus on what they want to happen – towards language. They focus on what they don’t want to happen – away from language. They focus on a mix of what they want and what they don’t want – a mix of toward & away from language. This is a huge clue as to what type of language they tend to feel most comfortable with and may be influenced by. Please note, one style is not better than another, this is information to be gathered to have a more effective conversation with a prospect/client. Next, by picking up these types of clues, you’ll have a better understanding of how to deliver a proposal back to the client. Once you have an understanding of your prospect/client’s preferred language, you’ll be better able to deliver information in a way they are more open to receiving it.